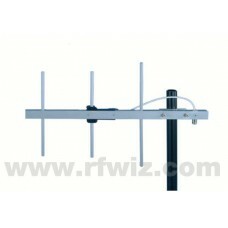 Comtelco HD Heavy Duty Yagi antennas are used by customers all over the world. They are used in the oil industry for off shore drilling rigs and in locations where resistance to severe environments is a great cause of concern. They are used by telecom carriers that demand total reliability. Since 1978 we have shipped over 100,000 yagis worldwide. By using a construction technique called cold weld, we can produce antennas that are every bit as rugged as a standard welded yagi, but at a significant cost advantage. Using specially designed hydraulic machinery, we are able to press tight tolerance solid elements into precision-machined booms. These elements are pressed in with over 1,000 lbs. of hydraulic pressure insuring a permanent bond. After assembly, an epoxy powder coat is applied. This seals the antenna, providing total environmental protection. 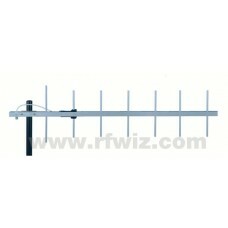 QUICK FIND: Download UHF HD YAGI CATALOGUE PAGE then type or copy & paste Model # in Search Box Above. Options and Accessories: Please scroll down to view related items. Comtelco Y3343D-A 3..
Options and Accessories: Please scroll down to view related items. Comtelco Y3343D-B 3..
Options and Accessories: Please scroll down to view related items. Comtelco Y3343D-C 3..
Options and Accessories: Please scroll down to view related items. Comtelco Y3343D-D 3..
Options and Accessories: Please scroll down to view related items. Comtelco Y3343D-E 3..
Options and Accessories: Please scroll down to view related items. 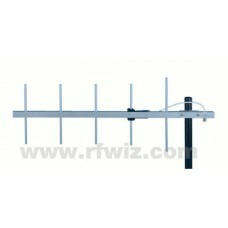 Comtelco Y3335D-D 5..
Options and Accessories: Please scroll down to view related items. Comtelco Y3345D-A 5..
Options and Accessories: Please scroll down to view related items. Comtelco Y3345D-B 5..
Options and Accessories: Please scroll down to view related items. Comtelco Y3345D-C 5..
Options and Accessories: Please scroll down to view related items. Comtelco Y3345D-D 5..
Options and Accessories: Please scroll down to view related items. Comtelco Y3345D-E 5..
Options and Accessories: Please scroll down to view related items. Comtelco Y3347D-A 7..
Options and Accessories: Please scroll down to view related items. Comtelco Y3347D-B 7..
Options and Accessories: Please scroll down to view related items. Comtelco Y3347D-C 7..